The Ecsta XS KU36 is designed for SCCA racing that demands high Uniform Tire Quality Grades, this incredible tire delivers unrivaled dry grip with split-second steering response, and its unique footprint is designed to deliver consistent handling performance at high G-forces. Low void asymmetric tread pattern with circumferential grooving for high cornering grip. Ultra fine carbon black compounding for maximum traction. Ultra wide tread contact with highly rounded shoulders for optimized footprint shape during high lateral loads. Developed for quick autocross warm-up while maintaining race track durability. Great Tire ...I would buy again. 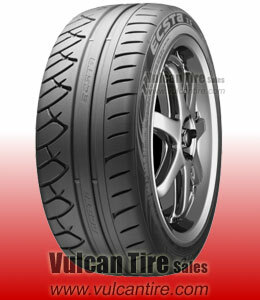 Grip equal to or greater than falken azinus rt-615. maybe less life. Weekend club racer @ nasa events.Great for spirited driving ..ok on wet pavement. The tires are awesome. great traction. i would definitely buy them again. Use these for time attack events for the street tire class. Best street tires I've owned. these are great dry track and drag tires. there very sticky and have great response. i will buy a new set when i wear these out.